The main attraction is a clever and often humorous trivia game. Enthusiastic participants are placed on teams for some healthy competition! From Pop Culture to All About Canada, there is something for all to enjoy!After each trivia category, participants have the opportunity to mingle and peruse the Silent Auction. Funds raised supplement Académie de la Capitale’s educational programs and further equip labs; additionally a percentage of ticket sales are directed to a charity of the school’s choice. Who: You! 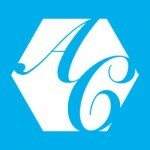 An adult evening for the AcadeCap community, friends, family and the public! How: AcadeQuiz tickets are $30 each. A portion of ticket sales are donated to a charity of the school’s choice. This year, we will be donating to Crohn’s and Colitis Canada. 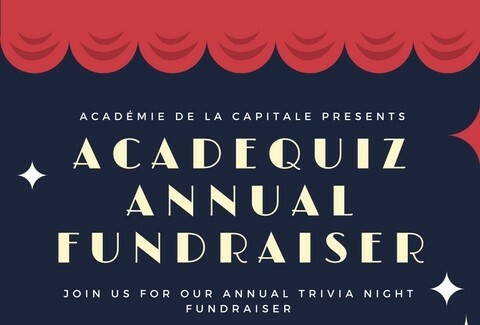 Reserve your tickets by visiting acadequiz.com! No Comments on "AcadeQuiz Annual Fundraiser"